Who will win Sturt’s P.T. 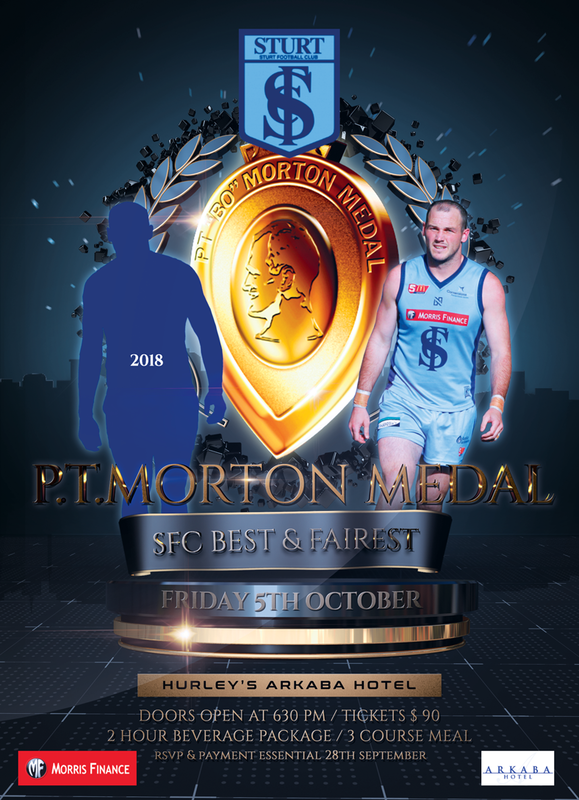 Morton Medal (B&F) for 2018? Join us, Friday October 5th to recap the season, see award winners presented and mingle with the players.